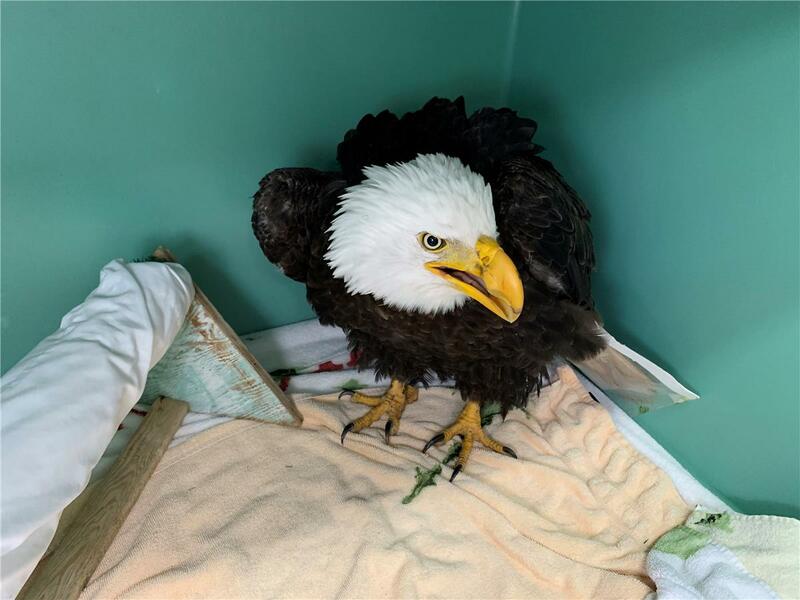 This Bald eagle was found on the ground and brought to us. She did test positive for lead poisoning, but fortunately it was at a very low level and treatable. She has been improving and was finally ready for an outside flight enclosure. You can see a video of her flying on our YouTube page. Status: Released - watch the release video!